We think it is important to emphasise that we are NOT a "virtual operator", unlike many of our competitors. 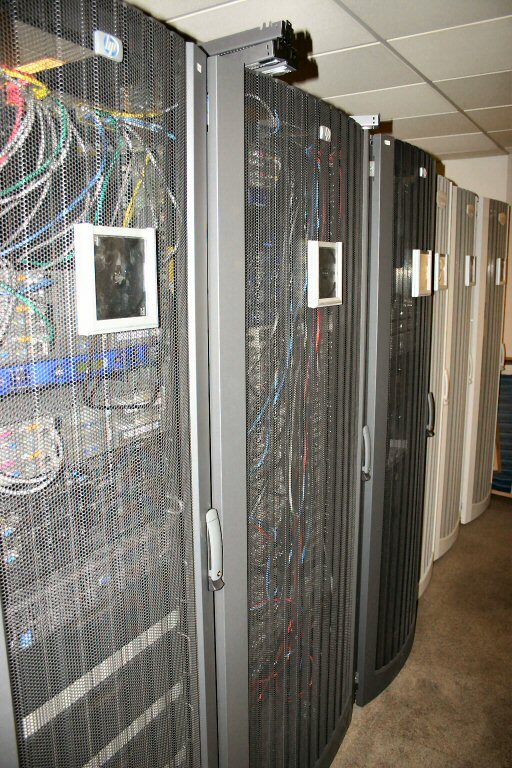 We own and manage all the hardware, from the Air Conditioning and Uninterruptible Power Supply systems to the underlying connectivity and rack space. The Hastingwood DataCentre is carefully constructed with UPS (Uninterruptible Power Supplies) and stand-by generation systems, raised floors, cable management and air conditioning to ensure a resilient location for your important infrastructure equipment. To ensure optimum performance, the data floor is maintained at a constant 21�C � 2�C and relative humidity is kept at 50% � 10%. Physical security is also taken extremely seriously. The DataCentre is monitored via CCTV by Hastingwood's own security staff 24/7, and all access points are locked at all times. Hastingwood has many years experience in hosting websites for our tenants, but since the completion of our custom built DataCentre, we have started offering our world-class hosting solutions more widely. Our servers currently use the award winning Plesk software from Apache, running on a Windows 2003 Server platform for general use. For special purposes, we also setup Linux and FreeBSD based servers. We offer a range of solutions to meet the needs of all companies, large and small, including Virtually Hosted, Dedicated and Co-Located servers. All Services are discounted for Hastingwood tenants, but standard pricing is competitive, and very attractive if value added enhanced performance is required. Hastingwood also provides a tailored backup service to all tenants, data storage can be in your own office or in our secure datacentre.